MainAll NewsJewish WorldHerzl - Anti-Semite? Dr. Manor was asked at the beginning of the discussion whether there is any truth to the assertion that without Herzl none of the great events which befell the Jewish people would have happened, including the establishment of a Jewish state. ""On the one hand there is an accepted saying among historians: 'don't ask 'what if?'' The fact is that Herzl existed, and our work is to examine what he did. On the other hand, we try to ask 'what was' in order to filter out [nonessential information] and to understand a thing's uniqueness." "Herzl wrote a lot, and he did not think that he had done everything. It is hard to know if all this would not have happened without him, but everything that happened in the first half of the twentieth century made a tremendous contribution to the establishment of the State of Israel," Dr. Manor said. He emphasized that "without the actions of the Zionists who came and established settlements with blood and sweat this would not have happened." When asked to summarize summarize Herzl's work, Dr. Manor said that his contribution was decisive in establishing the politicization and democratization of Zionism. This was done through the establishment and very existence of the Congress, which became a focal point where Jews could concentrate their efforts in the directions they saw fit. This direction was the establishment of a national home for the Jewish people in the Land of Israel in accordance to international law. This is what the Jews did at the congress, and, he said, it was done in a very democratic manner. In his opinion, it was not the Dreyfus Affair which led Herzl to Zionism, even though he himself wrote it was. "This is a big question that I could not find a convincing answer to - what caused Herzl to choose this path and dedicate the last nine years of his life to Zionism? What made him a Zionist?" "He writes in 1899 that it was the Dreyfus trial that motivated him, but it was a bluff intended to enlist the support of American Jews at a time when everyone knew about the Dreyfus Affair. After that, he hardly ever wrote about it. As a student in Vienna, he understood the anti-Semitic threat to society in Europe, and not only to Jewish society. "The issue of national consciousness throughout Europe certainly influenced him, but it should be said that, contrary to the words of [certain] Israeli intellectuals, Zionism did not invent the Jewish people. There was a national consciousness long before that. The roots of early Jewishness are not in the 19th century. It was organized then, but it existed way before that. Dr. Manor was presumably referring to radical Israeli intellectual Shlomo Sand, who has accused the Zionist movement of 'inventing' the Jewish people whereas before that, Judaism had only been a religion. On the atmosphere and reality that enabled Herzl's activities, Dr. Manor said that Herzl could only have acted and established the congress because he belonged to the minority of Jews who had civil rights. "Most of the world's Jews had no rights. Jews in Russia had no civil rights. Nor did the Jews of Morocco or the Middle East. The only ones [in those regions] who had civil rights were about ten thousand Algerian Jews who became citizens of France." "The creation of a congress can only be carried out by someone who has citizenship and enjoys civil rights. 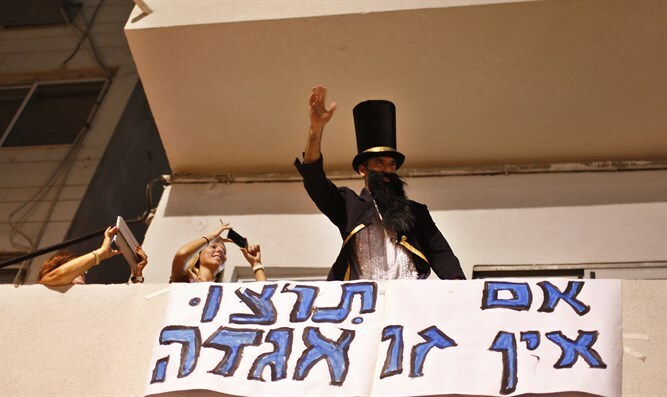 Herzl's book was translated into 15 languages ​​and became the talk of the day. Herzl used his civil rights to create a political instrument that would serve the Jews to establish a state which would grant them civil rights in the future. In contrast to other historians, Dr. Manor does not belittle Herzl's meeting with the Kaiser, which he believes is the most dramatic event in establishing international political recognition for the Jewish people and its needs. He compared it to an ordinary US citizen meeting the president in the White House. Today, we are in a country whose prime minister is invited to every place in the world and continues Herzl's endeavor to achieve recognition for the Jewish State. But 120 years ago, the important factors in the Jewish people, including the Rothschild family, were hostile to the Zionist enterprise. Everyone appreciated the Rothschild family and saw them as leaders of the Jewish people, and suddenly a journalist comes along who produced a revolution on this issue. In his eyes, it was the public, not the leaders of that time, whom he had to convince. "More and more Jews were convinced, and after eight or nine years he was gaining esteem in European politics. He was meeting the emperor, and holding meetings with the most significant world leaders. The importance of such meetings cannot be underestimated." Dr. Manor was also asked about a number of statements written by Herzl which have been accused of being anti-Semitic in nature, including a statement in which Herzl said that that "the priests of the Christians are at the top of the scale and the simple Christians are better than the Jews." Elsewhere, Herzl seems to claim that the Jews rule the world, provoke nations, and that it is on their orders that governments make peace. Some statements seem as if they were ripped from The Protocols of the Elders of Zion,' the notorious anti-Semitic forgery which claims to reveal a Jewish conspiracy to control the world. In other statements Herzl seems to praise honest anti-Semites and favor mass conversion of Jews to Christianity. In order to properly understand those statements, Dr. Manor said that it is important to understand the context in which they were said or written. "It is necessary to understand who is meant by what can be defined as auto-anti-Semitism. The question of the context is the true complexity of a historian's work. People say a lot of things which have to be left in context." "It is true that Herzl had a very creative mind, and in the early stages of his life he thought of being a playwright. I one of his diary writings he dealt with the type of uniform that the members of the orchestra would wear on a ship leaving Europe and other anecdotes which are perhaps nonsense. "Herzl's criticism of Jews is not about the Jews themselves, but rather about the group which he called until he died the 'protest rabbis.' Local rabbis, a coalition of Orthodox and Reform, opposed him when he wanted to hold a congress in Munich. They believed that a Jew was first and foremost a German. Suddenly, a Jew from the German culture comes and wants to define the Jews as a national group and not only as a religious group, and writes one of the most difficult to read articles with a headline that was an [anti-Semitic] title hurled at Jews by their enemies. "His thesis is that a Jew living in a reality of emancipation can assimilate if he wants to, and that the community cannot do anything to stop him. Many Jews had erased their identity, the most famous of whom is the family of [Karl] Marx. Herzl understood this, and stated that when there is liberalism, a person has the right to choose his future. 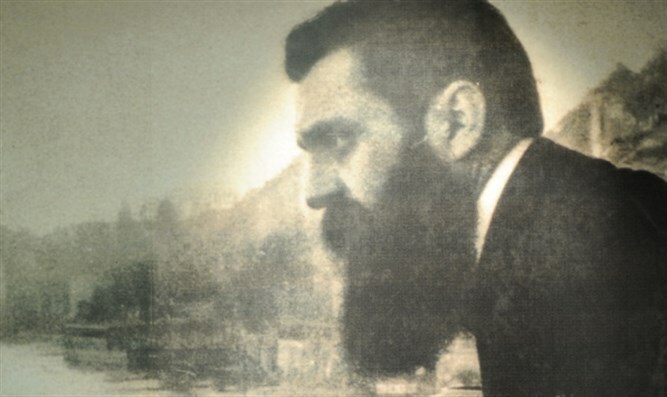 According to Manor, in this reality in which there is a fear of assimilation, Herzl sought to offer Jewish nationalism as another solution for those who did not want to or could not assimilate, and as he ironically put it, "to establish a state in which Jews can proudly turn around with their crooked nose." Manor is convinced that such a statement reveals the tone in which it is said, a tone of absurdity that uses what Jews were accused of as a tool for the Jewish reaction, a form of Jewish humor. "The extreme solution is absurd, and therefore I direct you to my solution, even if it is currently hard to imagine the existence of a Jewish state with urban settlements and roads," Dr. Manor explained. "The right thing to do with Herzl is not to look for embarrassing quotes, although that is permissible, but instead to take his two most important books, 'The Jewish State' and 'Altneuland,' and see in them a sincere response to Herzl's conception. In 'The Jewish State', he explains the problem of Jews who do not want to assimilate or be German or American members of the Mosaic religion, and in 'Altneuland,' e describes the establishment of the Jewish state, which would be established with accelerated technological development, and would be a place of private initiative without trampling on social values." Dr. Manor ends with the quote he considers to be Herzl's most important: "Zionism is first and foremost a return to Judaism." He said that this quote shows that Herzl did not see any disconnect between his vision and Judaism.